The nurse steadied my arm as she gently positioned the syringe barrel in place. “You can look away if you need to,” she said, “it will soon be over.” I squirmed in my seat, but kept my eyes fixed on the needle as it gently slid beneath my skin. I was six years old, and photographs of children suffering from measles, mumps and rubella kept me awake at night. I would toss and turn, imagining that every tickle from my flannelette sheets was the first bump of an angry measles rash. This cold, silver needle gliding into my vein represented freedom from this anxiety. It stung, and it made me feel queasy, but any childhood fear of contracting some horrifically virulent disease was alleviated. 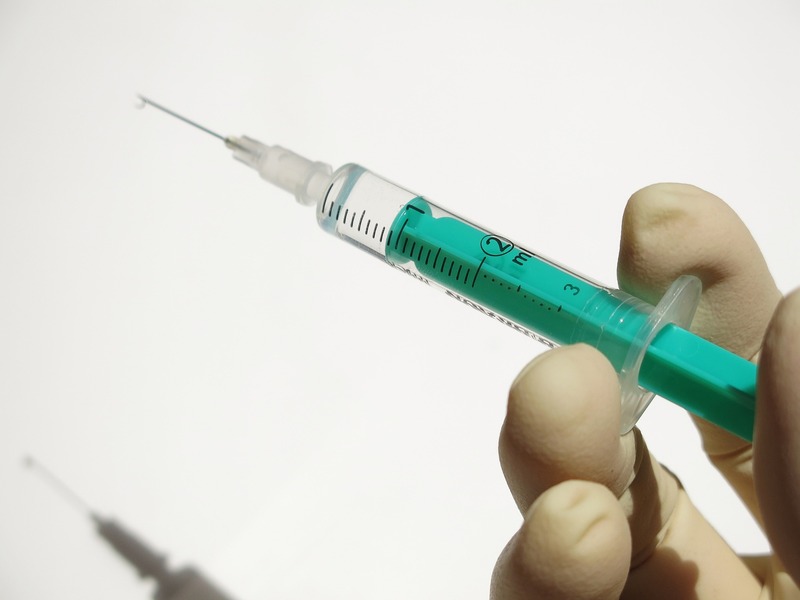 Disposable syringes made of plastic are commonplace today. We don’t blink twice upon seeing a hollow needle made of metal, a barrel and a plunger made of plastic. Indeed, sixteen billion of them are used the world over every year. However, it has been only 55 years since the plastic syringe was invented, replacing the glass and metal syringes that had been used since the 17th century. The plastic disposable syringe was invented by a New Zealander, the pharmacist and veterinarian Colin Albert Murdoch. Born in Christchurch on the 6th of February, 1929, the young Murdoch was a precocious and intelligent child. At the age of ten, instead of playing with mud pies, he was already mixing nitrates with sulphuric acid to make gunpowder, building himself a firearm with a wick and a small asbestos-filled hammer. Despite suffering from dyslexia, Murdoch had an avid interest in chemistry and began studying at the College of Pharmacy in Wellington. At the age of 25, he opened a pharmacy in Timaru. Murdoch was a remarkably compassionate and thoughtful man. At the age of 13, he saved a man from drowning in the New Brighton estuary and was awarded the Royal Humane Society Medal. Murdoch’s empathy extended not only to humans, but also animals. Later in his life, Murdoch studied veterinary medicine and turned his hand at treating animals and livestock. He was well aware of the risks in reusing syringes; the glass syringes in use at the time were designed for multiple use and were sterilised each time. Infection caused by the transmission of dangerous pathogens from animal to animal or person to person still occurred, despite careful sterilisation practices. This was because crystalline antibiotic deposits on the inside walls of the syringes had made bacteria resistant. Murdoch thus set out to design the disposable hypodermic syringe, a plastic version of its glass predecessors. According to legend, the eureka moment hit Murdoch as he was playing with his fountain pen. Perhaps all those kids playing with their fidget spinners are onto something. As well as facilitating countless vaccinations and saving the lives of diabetics the world over, the disposable syringe has also revolutionised the lives of people addicted to drugs. The value of clean needle exchanges has been proven time and time again. A comprehensive 2004 study by the World Health Organisation (WHO) found a “compelling case that NSPs substantially and cost effectively reduce the spread of HIV among IDUs [intravenous drugs useres] and do so without evidence of exacerbating injecting drug use at either the individual or societal level.” At these clean needle exchanges, injecting drugs users may obtain hypodermic needles at little or no cost. Based on the philosophy of harm reduction that attempts to reduce the risk factors for diseases such as HIV/AIDs, clean needle exchanges offer equipment free of charge, and often require service users to return used syringes to receive an equal number of new syringes. These exchanges and the disposable, single-use needles they offer, decrease the spread of HIV and hepatitis without creating new drug users. Moreover, the vast majority of clean needle exchanges aren’t just clean, clinical offices where drug users can shuffle in to pick up equipment. Instead, these programs host support clubs, HIV and STI testing, health and counselling service referrals, the provision of up-to-date information about safe injecting practices, and access to contraception and sexual health service. They can also serve as safe spaces for individuals to learn about their rights and recover their dignity.